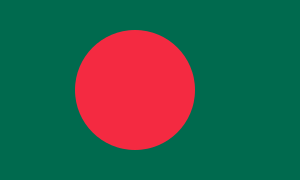 Chittagonian or Chittagong Bangla (চাঁটগাঁইয়া Chatgaiya), also Chatgaya, is an Indo-Aryan language spoken by the people of Chittagong in Bangladesh and in much of the southeast of the country. It is closely related to Bengali and is often considered to be a non-standard dialect of Bengali, although it is not mutually intelligible with it. It is estimated (2009) that Chittagonian has 13 million speakers, principally in Bangladesh. Chittagonian is a member of the Bengali-Assamese sub-branch of the Eastern group of Indo-Aryan languages, a branch of the wider and more vast Indo-European language family. Its sister languages include Sylheti, Rohingya and Bengali. Like other Bengali-Assamese languages, it is derived from Pali, and ultimately from Proto-Indo-European. Chittagonian is spoken in southeastern Bangladesh throughout Chittagong Division but mainly in Chittagong District and Cox's Bazar District. It has (2009) an estimated 13 million speakers in Bangladesh and also in countries where many Chittagonians have migrated like Burma, where they call themselves Rohingya. It has no official status and is not taught at any level in schools. It is mistakenly regarded by many Bangladeshis, including most Chittagonians, to be a crude form of Bengali as all educated Chittagonians are schooled in Bengali. Chittagonian is distinguished from Bengali by its large inventory of fricatives, which often correspond to plosives in Bengali. For example, the Chittagonian voiceless velar fricative [x] (like the Arabic "kh" or German "ch") in [xabar] corresponds to the Bengali voiceless aspirated velar plosive [kʰ], and the Chittagonian voiceless labiodental fricative [f] corresponds to the Bengali voiceless aspirated bilabial plosive [pʰ]. Some of these pronunciations are used in eastern dialects of Bengali as well. Chittagonian has lost all the voiced aspirates ("breathy-voice consonants") found in Bengali and most modern Indo-Aryan languages. Like related languages of the eastern subcontinent, Chittagonian is a head-final language, with a subject–object–verb basic word order. Like Assamese (Ôxômiya) but unlike Bengali, Chittagonian has preverbal negation. This means that the negative particle will precede the verb in Chittagonian, where the corresponding Bengali version would have a negative particle following the verb. Ítara (They) hamót (to work) źar ģui (go). আঁই Aááí (I) বাঁত bát (rice) হাইঁ haí (eat). ইতিঁ Ití (She) টিভি TV (TV) চাইঁ saí (watches). ইতেঁ Ité (He) সাইকেঁল saikél (bicycle) চলার solar (is riding). As in the case of Bengali, most of the vocabulary of Chittagonian is derived from Pali. It also, like Bengali, includes a significant number of imported words from Arabic, Persian, and Turkish, as well as, to a lesser extent, Portuguese. In addition, English words are widely used in spoken Chittagonian, just as they are in almost all other neighbouring languages, as a result of the legacy of the British Empire. Although much of the vocabulary of Chittagonian Bengali is the same as that of standard Bengali, there are several distinguishing features. The contribution of Arabic, Persian, and Turkish words to Chittagonian Bengali is far greater than that to standard. This is due to Chittagong's history as a port city that was open to traders from Arabia, Persia and Turkey since ancient times, who brought with them vocabulary that was integrated into Chittagonian. This has also meant that Chittagonians were amongst the first to convert to Islam and consequently, as Muslims, they were further influenced by Arabic, Persian, and Turkish vocabulary, as these were the languages spoken by the Muslims of the time, especially the traders. Among Europeans, the Portuguese colonists were amongst the first to reach Bengal, and Chittagong as a port city was for a time under the administration of the Portuguese. This has meant that there is a larger proportion of Portuguese loanwords in the usage of Chittagonian speakers than in that of standard Bengali speakers. ↑ Hammarström, Harald; Forkel, Robert; Haspelmath, Martin; Bank, Sebastian, eds. (2016). "Chittagonian". Glottolog 2.7. Jena: Max Planck Institute for the Science of Human History. ↑ "Chittagonian A language of Bangladesh". Ethnologue: Languages of the World, Sixteenth edition. 2009. Retrieved 3 February 2013. ↑ "Summary by language size". Ethnologue: Languages of the World, Sixteenth edition. 2009. Retrieved 3 February 2013. ↑ Ethnologue (2005). "Chittagonian, a language of Bangladesh". Wikivoyage has an entry for Chittagonian phrasebook.